Indoor Air Quality (IAQ) refers to the air quality within and around buildings and structures. Most importantly it relates to the health and comfort of building occupants. Understanding and controlling common pollutants indoors will help reduce indoor health concerns. A well-maintained HVAC System is your first defense providing better Indoor Air Quality. Many people in Crawfordsville are surprised to learn that indoor air quality (IAQ) in their homes and businesses can be polluted more than the air outside. According to OSHA, polluted air inside a home or business can cause health issues. These can include allergies, headaches, irritability, fatigue, and problems with concentration. Poor indoor air quality can also cause health problems like asthma, nausea, and skin irritations. How does your HVAC system maintain Indoor Air Quality? 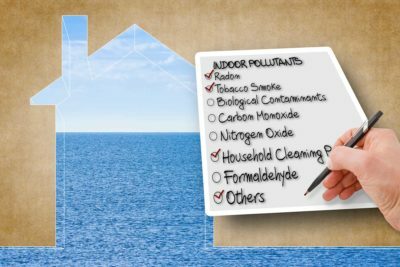 Your home’s air filters neutralize pollutants found in the air. Many newer HVAC systems include Whole House Air Cleaners. All heating and cooling systems filter the air. The air gets filtered as is pulled through the return air and air filters. Do you see why it is so important to change and keep your air filters clean? For proper air filtration, change them every three months. the cost of an air filter is nothing compared to the experience of enduring poor indoor air quality. Don’t smoke indoors, Vacuum every week, Use natural cleaners and nontoxic products, Clean or change HVAC air filters every month. The professionals at Crawfordsville HVAC can provide an on-site indoor air evaluation and suggest products to keep your indoor air healthy. Call us to learn more about how you can improve your indoor air quality in Crawfordsville and all throughout Fountain, Warren, and Park counties.